Some things were in our control, such as giving ourselves enough slack to get to the concert venue, but the even the reliable Dutch train system has defied our planning. 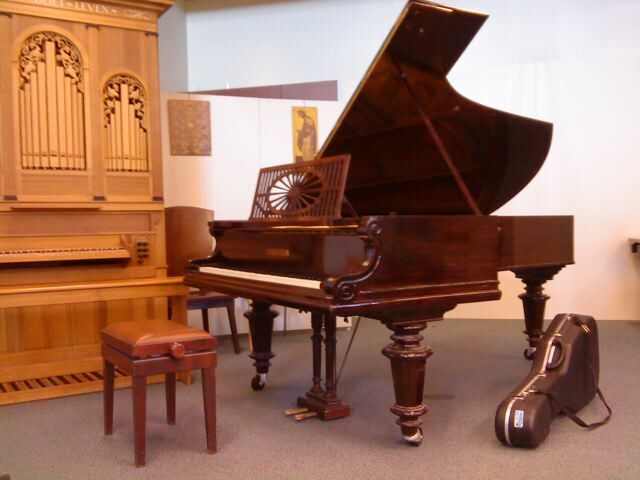 We always had to get used to the piano at the venue, its interaction with the guitar, and the acoustics of the hall or room. Our performances were never “broadcasts,” except those on radio. They were interactions, for we affected the audience as much as they affected us. Any number of things could go wrong. Ambient noise and what seemed normal in the venue’s routine (such as the sound of refrigeration) were not acceptable for optimal concert performances. Yet we had to put up with that. Real-time crisis management implied adjusting to surprises and solving problems on the spot. When a piano leg broke just before our concert in northern Spain, we found a remedy and gave our performance as if nothing was amiss. Our rule was never to cancel a gig and never be late to a concert. Even when traffic made it nearly impossible, we kept our word, such as the arduous journey in getting to the south of the Netherlands. In 2008, we gave about 60 piano guitar duo concerts. In 2009, we gave 36. In 2010, we gave 61. These did not include our concerts as soloists or duo or trio with other instruments, including choir. In 2011, we gave only 3 piano guitar duo concerts. In 2012, none. During our active concertizing period, our daily routine consisted of practicing by ourselves, rehearsing together, booking concerts, driving to concerts, performing, and returning. The Dutch have a custom of giving fresh bouquet of flowers. During busy periods, we ran out of vases. Some audiences gave us bottles of wine, boxes of chocolates, and even organic produce from their gardens. Our reward was a fine performance with appreciation shown in the audiences’ faces. And of course, the cheque. Given this sort of lifestyle, i.e. that of real-time crisis management, it’s not surprising that we didn’t have time to look beyond the concert stage. In 2010, it was clear that the Dutch government was going to make generous cuts to the arts. Our orchestral friends were protesting in the streets. We set a couple of goals. Go to America. Robert would pursue his doctorate in music while I would revamp my career in other areas that would bring more certain income to allow me to live in Maui near my family. What next? We need to learn the art of planning to get there.